Venice, more than any other European city, has an endlessly seductive charm. For centuries, it was nicknamed La Serenissima, "The Most Serenely Beautiful One" — and for good reason. After sorting through the monuments of Venice's powerful past, we'll cruise the Grand Canal and be dazzled by masterpieces of the Venetian Renaissance. Along the way we'll feast on Venetian treats, get a splash of modern art, then glide on a gondola through this city of elegant decay. The seat of the Venetian government and home of its ruling duke, or doge, this was the most powerful half-acre in Europe for 400 years. The Doge's Palace was built to show off the power and wealth of the Republic. The doge lived with his family on the first floor up, near the halls of power. From his once-lavish (now sparse) quarters, you'll follow the one-way tour through the public rooms of the top floor, finishing with the Bridge of Sighs and the prison. The place is wallpapered with masterpieces by Veronese and Tintoretto. Don't worry too much about the great art. Enjoy the building. While the Arsenale is still a military base and is therefore closed to the public, its massive and evocative gate, the Porta Magna, is worth a look (to see the gate, turn left at the Naval Museum and follow the canal). The Naval Museum itself (Museo Storico Navale) is very old-school and military-run, but anyone into maritime history or sailing will find its several floors of exhibits interesting. You'll see the evolution of warships, displays on old fishing boats, and gondolas (all described in English). Among Europe's churches, St. Mark's is peerless. From the outside, it's a riot of domes, columns, and statues, completely unlike the towering Gothic churches of northern Europe or the heavy Baroque of much of the rest of Italy. Inside is a decor of mosaics, colored marbles, and oriental treasures that's rarely seen elsewhere. The Christian symbolism is unfamiliar to Western eyes, done in the style of Byzantine icons and even Islamic designs. Older than most of Europe's churches, it feels like a remnant of a lost world. This is your best chance in Italy (outside of Ravenna) to glimpse a forgotten and somewhat mysterious part of the human story — Byzantium. This dramatic bell tower replaced a shorter tower, part of the original fortress that guarded the entry of the Grand Canal. That tower crumbled into a pile of bricks in 1902, a thousand years after it was built. You may see construction work being done to strengthen the base of the rebuilt tower. Ride the elevator 325 feet to the top of the bell tower for the best view in Venice (especially at sunset). The golden archangel Gabriel at the top always faces into the wind. Beat the crowds and enjoy the crisp morning air at 9:00 or the cool evening breeze at 18:00 (but closes earlier in winter, tel. +39-041-522-4064). Go inside to buy tickets; the kiosk in front just rents audioguides and is operated by a private company. Take a joyride and introduce yourself to Venice by boat. Cruise the Canal Grande all the way to St. Mark's Square, starting at the train station (Ferrovia) or the bus station (Piazzale Roma). My guidebooks outline a stop-by-stop tour, as does my free audio tour of the canal. Crown-shaped La Salute was the crowning achievement of architect Baldassare Longhena (who also did St. Mark's Square's "new" wing and the Ca' Rezzonico), and the last grand Venetian structure built before Venice's decline began. This exquisite, professional, and small hotel has nine plush rooms, a velvety royal living/breakfast room, and its own dock for water taxi arrivals. It's perfect for a romantic anniversary, and owner Matteo makes guests feel like royalty. The popular museum of far-out art, housed in the American heiress' former retirement palazzo, offers one of Europe's best reviews of the art of the first half of the 20th century. Stroll through styles represented by artists whom Peggy knew personally — Cubism (Picasso, Braque), Surrealism (Dalí, Ernst), Futurism (Boccioni), American Abstract Expressionism (Pollock), and a sprinkling of Klee, Calder, and Chagall. For me, this church offers the best art-appreciation experience in Venice, because so much of its great art is in situ — right where it was designed to be seen, rather than hanging in museums. It features the work of three great Renaissance masters: Donatello, Giovanni Bellini, and Titian — each showing worshippers the glory of God in human terms. To see the work in action, visit the wood-carving shop of Paolo Brandolisio. His shop is just behind St. Mark's Square, inland from the Church of San Zaccaria on Fondamenta de l'Osmarin — look for it down an alley from the Ca' del Sol mask shop. You can pop in to watch Paolo carving both fórcole and traditional oars. In the Dorsoduro district, you can visit the workshop of Saverio Pastor, another fórcola maker, who has scale models for sale one canal east of the Peggy Guggenheim Collection; detour south along Fondamenta Soranzo de la Fornace to #341). See the Travel Details above for recommendations highlighted in bold, excerpted from Rick's guidebooks. Hi, I'm Rick Steves, back with more of the best of Europe. Get ready to be immersed in the wonder of this continent's most romantic city: Venice. Thanks for joining us. Venice, more than any other European city, has a seductive charm. There's no place like it. 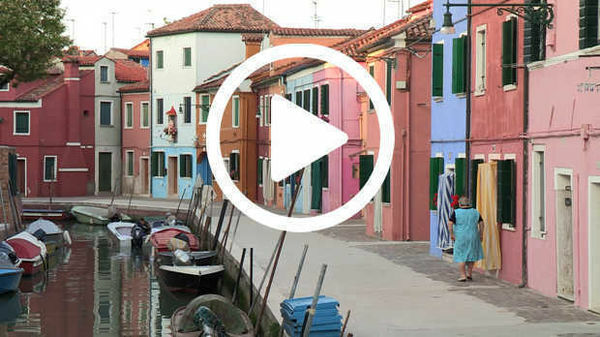 For centuries it was nicknamed "La Serenissima," the most serene place — and you're about to see why. 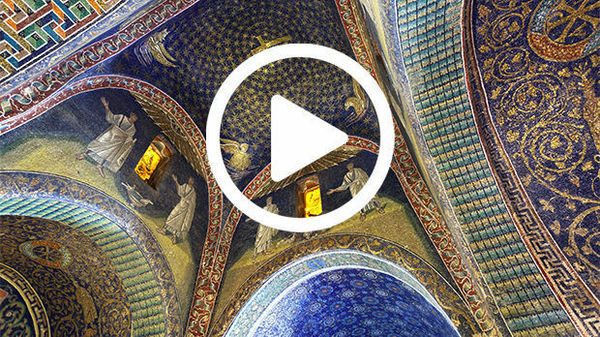 In this first of two episodes on Venice, we'll sample the splendor of the Doge in his palace, take a pilgrimage to St. Mark's Basilica, see some famous horses, enjoy a grand but noisy view, feast on Venetian treats, get a splash of modern art, be dazzled by masterpieces of the Venetian Renaissance, and get intimate with the city of Casanova...on a gondola. Located in Italy, at the north end of the Adriatic Sea, is Venice. It's a fish-shaped island connected to the mainland by a long causeway. Its main drag — the Grand Canal — starts at the fish's mouth and winds through the center. Everything we'll see is within a 10-minute walk of the Rialto Bridge and St. Mark's Square. Venice, more than any other city, is the place to get out early and stay out late — to be swept away. On every square is a surprise, and around each corner is an excuse to savor the unique charms of the city. But all the magic sits on a practical foundation of political and economic might. With mountains of capital, plenty of traders with ready ships, and an awesome military, Venice was a commercial powerhouse — one of the six biggest cities in Europe. At its peak, in the early 15th century, of its 180,000 citizens, nearly 1,000 were fabulously wealthy. The city's ceremonial front door was unfortified and faced the sea. Two mighty columns welcome you to a power without equal and the most exquisite downtown imaginable in its day. The winged lion is the symbol of Mark, the patron saint of Venice. This was the Venetian Republic's religious and political center: St. Mark's Square, or Piazza San Marco, with the Basilica of St. Mark and the Doge's Palace. The Doge's Palace — the ruling center and residence of Venice's duke — was built to show off the power and wealth of the Republic and to remind visitors that Venice was number one. Its lacy exterior, a distinct blend of east and west, is Venetian Gothic. For four centuries, this was the most powerful piece of real estate in Europe. The sprawling palace is a maze of richly decorated rooms. Here in the doge's lavish apartment, a map illustrates the reach of the Venetian maritime empire — which stretched across most of the eastern Mediterranean. While it didn't have vast land holdings, Venice was a mighty trading empire — built upon a network of ports and a mastery of the sea. The city was driven by an interest in dominating Mediterranean trade. And, until the 16th century, when explorers like Vasco da Gama and Columbus opened up the world leaving Venice stuck in a geographic hole, Venice did dominate. Here in the Senate Hall, nobles gathered to address their colleagues, debate, and pass laws. Glorious paintings throughout the palace reminded Venetians of their heritage and divinely ordained greatness. Tintoretto's Triumph of Venice shows the city — always represented blond and virtuous — in heaven among the Greek gods, receiving the wealth of the sea. The doge was something of an elected king, which only makes sense in an aristocratic republic like Venice. Technically, he was a noble selected by other nobles to oversee the carrying out of their laws and decisions. There were 120 doges over 1,100 years. The vast Hall of the Great Council could host a meeting of 2,500 nobles. Tintoretto's monsterpiece, Paradise — the largest oil painting anywhere — reminded lawmakers that making wise decisions would ultimately put you in the company of 500 saints. And for further encouragement, the famous Bridge of Sighs led directly from the palace to its infamous prison. According to the romantic legend, gazing out the window, prisoners tried to enjoy their last view of Venetian beauty, sighed…and were taken to their cell. Opponents of the government were dealt with swiftly and decisively. This prison — with its discouraging bars — held commoners and nobles alike. The great Venetian rogue Casanova did time here. While this prison was considered relatively comfortable in its day, wasting away in here, with so much beauty so close, must have been a particularly cruel punishment. The palace kept an armory on display — an intentionally intimidating array of weaponry designed to dishearten potential adversaries. Along with a powerful collection of weapons — state of the art in its day — it comes with some fun curiosities: tiny crossbows, thumbscrews, and a particularly effective chastity belt. Along with economic might, the splendor of Venice was built upon a foundation of military power. Its formidable navy saw lots of action. Nearby stand the imposing gates of the Arsenal — Europe's first great military-industrial complex. The Republic's fortified shipyard, with 3,000 workers using an early form of assembly-line production and standardized parts, it could produce one warship a day. The Arsenal put the "fear of Venice" into visiting rulers. When the king of France came to town, he was taken here for a humbling spectacle: the creation of an entire warship before his very eyes. Then, after a quick glide down this canal, the vessel was completely outfitted and ready to bolster Venetian dominance of the Mediterranean. Power in Venice also came from some ancient bones. To gain religious importance and a kind of legitimacy, the Venetians needed some important relics. According to legend, St. Mark actually traveled here, personally bringing Christianity to the region. His bones would be perfect. So, in 828, Venetian merchants smuggled Mark's remains out of Egypt and into the church — shown here as it looked in the 13th century. Mark — looking pretty grumpy after the long voyage — became the city's patron saint, and his symbol, the winged lion, became the symbol of Venice. The grand church of St. Mark's was built in a distinctly Eastern style. Its domes and elaborate exterior remind us of Venice's close ties with the Greek, Byzantine, and Muslim worlds. The basilica is decorated with a ragtag assortment of mismatched columns and statues from different eras, much of it pillaged from Venice's rivals. The style? I'd call it "Early Ransack." These four guys are a favorite of mine. It's an ancient Roman statue carved of precious purple porphyry stone — symbolic of power — pillaged from far away, probably Constantinople, and placed here proudly as spoils of war. Of all the loot ornamenting this church, its grandest prize is a set of horses, which for centuries looked out over the square. While these are copies, the originals are inside. These much-coveted and exquisitely cast bronze horses are a trophy befitting the city's power. And talk about well-traveled: According to legend, they were cast for Alexander the Great in the fourth century B.C., taken by Nero to Rome, then brought by Constantine to his new capital in the East, Constantinople. Later the Venetians grabbed them, only to have Napoleon swipe them to decorate an arch in Paris. Today, they're back in what Venetians believe is their rightful home. The church is covered with glass and gold mosaics. And, in good medieval style, they come with religious lessons. The entrance hall features an elaborate and cohesive series of Old Testament scenes. The creation dome tells the story of Genesis with Adam and Eve and the original sin. In a scene-by-scene storyboard, we see Adam lonely in the garden, the creation of Eve, and then trouble: from apple…to fig leaf…to banishment. The interior of the basilica glitters with its gold-leaf mosaic work. The remains of St. Mark lie beneath the high altar. The Pala d'Oro, or Golden Altarpiece, is a medieval masterpiece. Its stunning golden wall of 250 painted enamels features prophets and saints, and, at its center: Jesus, as the Ruler of the Cosmos. All this precious art is carefully maintained in the church's mosaic workshop. As they've done for a thousand years, artisans here are patiently restoring a damaged piece of mosaic. They're cleaning and resetting old stones and cutting new ones as necessary — all according to the exact medieval original. St. Mark's bell tower — or campanile — soars 300 feet over the square. A tower has stood here, like an exclamation point, proclaiming the power and greatness of the Venetian Empire, for 1,200 years. Today an elevator zips you effortlessly to the top to enjoy a commanding view. From here, you can see how Venice is an island lying in the center of a vast lagoon. Surveying the domes and towers of the city's skyline, it's amazing to think that all this sits on a foundation of pilings...millions of tree trunks driven deep into the clay. For an ear-shattering experience, be here at the top of the hour. About 25 miles of canals crisscross the city, flowing like streams into the Grand Canal. The city is actually a car-free maze of about 100 islands, laced together by several hundred bridges and a vast web of alleys and canalside walkways. With a shrinking population and in a state of elegant decay, Venice survives on the artificial respirator of tourism. Survey the city by cruising the Grand Canal on a boat called a vaporetto. These work like city buses except that they never get a flat, the stops are docks, and if you get off between stops, you'll drown. Joy riding through the town is one of Europe's unforgettable treats. Boats come by every few minutes, so you can hop off and on all along the way. The city's main thoroughfare is busy with traffic. With water taxis, police boats, delivery boats, post boats, and over 400 gondoliers all navigating around the churning vaporetti, there's a lot of congestion on the Grand Canal. Where the Grand Canal opens up into the lagoon stands one of Venice's most distinctive landmarks, the church dedicated to Santa Maria della Salute, Our Lady of Health. Plagues decimated communities throughout Europe. They were a huge concern. Entire cities made great and desperate deals with God in hopes that he'd spare them from the dreaded disease. While lots of towns made plague monuments, Venice built this entire church in hopes of surviving a disease that hit in 1630, and within 14 months killed a third of its people. Stepping into La Salute, the glorious architecture — a round dome atop a hexagonal base — makes the relatively small church seem bigger than it is. And the theme is made clear at the high altar: The Virgin Mary is approached for help by a humble Lady Venice. Mary then sends an angel baby to drive away Old Lady Plague. For a break from sightseeing — and a fun meal — explore the back lanes, and pop into a bar serving cicchetti — that's the uniquely Venetian hors d'oeuvres. This is a great way to try a variety of dishes. With a good regional wine in a rustic setting, you can eat cheaply and make new friends or enjoy old ones. Alessandro is joining us to give our nibbles some meaning. Rick: So, what is cicchetti? Alessandro: It is a small bite, you know, that you normally have when you have a glass of wine with a friend. Rick: And it can make a small meal. Alessandro: If you keep going for three, four bars, yes. Because you can't drive a car in Venice it's perfectly suited to bar hopping like this. Alessandro: This is cicchetto…a little thing that you grab with the hand; has to be finger food. Rick: Eat with your fingers, with your wine. Alessandro: With your finger, with your wine, yeah. You help yourself, one for you, one for me, a little for you, a little for me, and they try you see, look yeah. Rick: That's a good one! Alessandro says it's alright to just point at what you want, but your selection will be limited to what's fresh from the market that day. Alessandro: When you come here to the bar, you have to order what they find in the market in the morning; has to be fresh. Rick: So this is representative of what Francisco found in the market good this morning. Alessandro: Yes, yes, to find in the market in the morning. Eating cicchetti is a tasty opportunity to try something new and unusual. Alessandro: By the tail, and you eat it, just you want, they are fantastic…dopo di me! Rick: Mmm. Oh, that's an explosion of taste! But don't forget, according to Alessandro, you only eat cicchetti so you can have more of the main course: wine. Because of its former wealth, Venice is a city of palaces. The most lavish face the Grand Canal. Enjoying the views from a vaporetto is the best way to really appreciate the front doors of this historic chorus line of mansions, most from the 14th and 15th centuries. Palaces like these remind us that Venetian merchants amassed lots of capital. With aggressive trade policies and clever alliances, for Venice, the eastern Mediterranean was a virtual free-trade zone. As Venetian nobles traded their way into fabulous wealth, they built luxurious palaces like this one, which has been owned by the Pisani family for nearly 400 years. Their counterparts on the mainland had to fortify their places with heavy stone and tall towers. But, with their natural lagoon defenses, Venetian palazzos could be sumptuous rather than fortified. A palace served all the family's needs — import/export warehouse at water level, business offices above that, and plush living quarters above that — all under one roof. The goods — in the case of this family, furs, salt, cotton, and coffee — came off ships through this loading dock. Today many former palazzos survive as hotels. While there are a number of luxurious big hotels in town, my favorites are the smaller, family-run ones — which combine historic character, a warm and friendly welcome, and plenty of travel tips. At this hotel, I'm splurging to enjoy that prince for a day feeling in the lounge, a bedroom with all the comforts, and a terrace with a view of the Grand Canal. Venice is a great place to fall in love, enjoy a honeymoon...or a special anniversary. Visiting here, many feel that they're experiencing beauty, people, and even life itself at a more intense level. The Grand Canal cuts Venice in half, and has only four bridges. The grandest of these is the Rialto. With a huge span and foundations stretching about 200 yards on either side, it was an engineering marvel back in the 1500s. Originally, Venice had two major centers of power: one at San Marco, and one here at Rialto. Rialto, which left the politics to San Marco, has long been the commercial district of Venice. To cross the Grand Canal where there's no bridge handy, save time and energy by hopping a traghetto — one of the ferry gondolas, which shuttle pedestrians back and forth at strategic locations. It's customary to stand. Can't afford a private gondola? You could take two round-trips on this for the cost of an ice cream cone. Among the many palaces you'll see lining the Grand Canal, only one looks modern: the former mansion of Peggy Guggenheim. In 1948, the American-born heiress retired here in Venice. She made her mark as a friend, patron — and lover — of modern artists. Today the palazzo houses the Peggy Guggenheim Collection, filled with groundbreaking 20th-century masterpieces. Visiting, you can imagine it as Peggy's retirement dream home — with the heiress and her Picassos greeting guests in the entryway. With astonishing foresight, she assembled a Who's Who of her generation's greatest art. Her dining room, with its original table, is still decorated with masterpieces by Brancusi, Braque, and others. She married the painter Max Ernst. And she supported young artists, helping turn a struggling Jackson Pollock — with his Abstract Expressionism — into a celebrity. By the time she retired, Peggy herself had become a celebrity. Every morning, she could sit here on her terrace, sipping her coffee, taking in the Grand Canal, living the Venetian dream. This city also has several palaces now functioning as art galleries, which are packed with old Venetian masterpieces. But I particularly enjoy seeing art in the setting for which it was designed — that's in situ — like at the Chiesa dei Frari. The "Church of the Friars" was built by the Franciscan order and the art that decorates it feels warmed by the spirit of St. Francis. The Franciscans, inspired by St. Francis, were non-materialists — part of a reform movement that spread across Europe in the early 1200s. They were all about poverty, simplicity, and obedience — with an emphasis on the humanity of Jesus. The long, lofty nave, flooded with light, was ideal for large gatherings to hear sermons. Originally simple and spacious, over time, it was embellished with chapels, added by wealthy groups or families who hired leading artists to leave their mark. In Donatello's wood carving of St. John the Baptist, the prophet of the desert — dressed in animal skins and almost anorexic from his diet of bugs 'n' honey — announces the coming of the Messiah. Donatello was a Florentine working here in Venice at the dawn of the Renaissance. Adjacent, Giovanni Bellini's Madonna and Saints was painted by the father of the Venetian Renaissance in a softer, more Venetian style. Renaissance humanism demanded Madonnas and saints that were accessible and human. Here, Bellini places them in a physical setting so beautiful it creates its own mood of serene holiness. Over the high altar, glowing red and gold like a stained-glass window, Titian's Assumption of the Virgin Mary sets the tone of exuberant beauty found in this church. Titian's complex composition draws you upward — from man on earth, to triumphant Mary, and on up as she rises to join God in heaven. While the Frari has great art in situ — for me, the entire city is art in situ. And perhaps the best way to appreciate that is gliding through its picturesque canals on a gondola. Venice's sleek and graceful gondolas are a symbol of the city. From the start, boats were the way to get around among the island communities of the lagoon. To navigate over shifting sand bars, the boats were flat-bottomed, and the captains stood up to see. Today's boats still come with gondoliers standing up and no rudder or keel. They're built with a slight curve, so that a single oar on the side propels them in a straight line. The art of the gondola survives in the quiet back canals. In this shop the workmen — who needed to be good with wood — were traditionally from Italy's mountains. That's why they maintain a refreshing alpine-feel in this delightful little corner of Venice. Nearby, in an artisan's workshop, visitors are welcome to observe as he provides for the city's 400 gondoliers. Working with traditional tools, graceful oars are carefully planed to be true and properly balanced. And each walnut fórcula — the stylized oarlock — is like a sculpture: hand crafted, one of a kind, and honoring the city's heritage. A gondola ride is a traditional must for romantics. Gondolas are moored everywhere. Wait till early evening, when the crowds are gone, and the light is right. Find a gondolier whose personality you enjoy, settle on a price, and hop in. On a gondola, you glide through your own private Venice — far from the hubbub of modern tourism. Lonely bridges, canals without sidewalks, and reflections of once-upon-a-time grandeur. This is just one more way to yield to the enchanting wonders of this "most serene" city. I'm Rick Steves, surrendering to the timeless charms of Venice. Life is good. Be thankful…and keep on travelin'. Ciao! I love these guys! I love these guys! Well, I'm all alone! I feel like I'm, uh…I feel like the village idiot but I'm smiling!